> Lighting>Table lamps>Serge Mouille Tripod Desk Lamp 15.7"
Serge Mouille Tripod Desk Lamp 15.7"
The shade of this lamp is modeled after a "moule" or mussel shell. 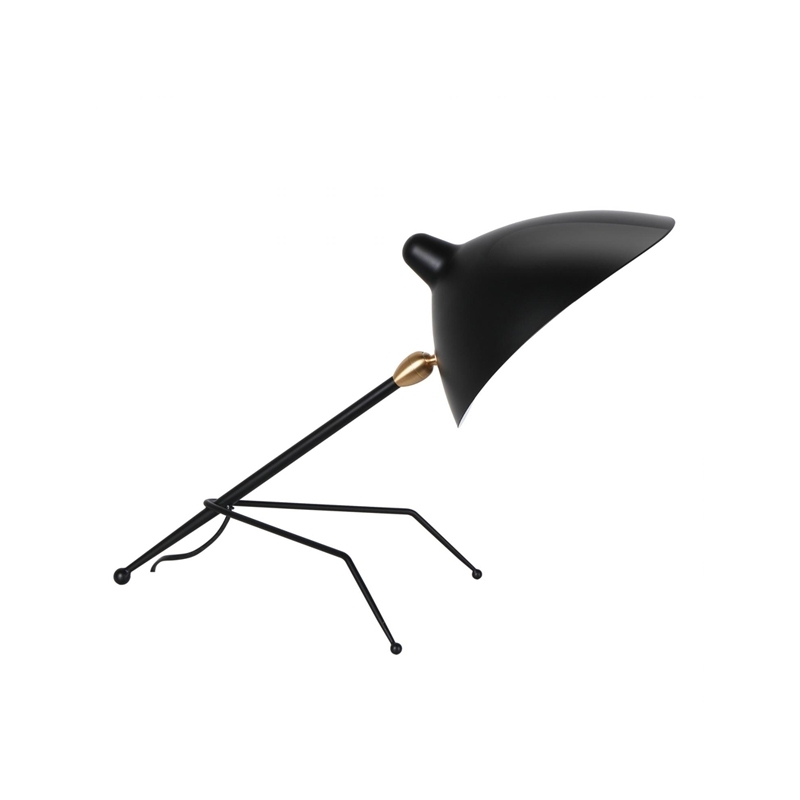 The arm is connected by a brass swivel and supported by an unusual tripod base with legs bent at the front accenting the angle of the stem. This is a replica item,thank you for your understanding.